Cali, Columbia is working towards revitalizing its riverfront, creating the new Rio Cali Park. A collaboration between the design team of West 8 and the Municipality of Cali, the aim is to link the people of Cali with the river in a safe environment, which prioritises pedestrians and cyclists. Cali is the third largest city in Columbia and it has been torn by violence and suffered stagnation for decades. The River Cali Revitalisation Project faces challenging odds as it seeks to kick start urban renewal and regeneration. The idea is to prioritise public space and connect people to the river in a safe way. To this end, a roadway is being re-purposed to provide bike lanes and safe pedestrian routes that join the city centre with the new river park. As outlined by designboom, Cali will have a peaceful public realm, with plazas for events, where residents and meet and relax. The emphasis is placed on fostering a safe urban area where a density of people can begin to engage with each other constructively. This is striking to me - not least because funding for Phase 1 is actually approved! Cali faces struggles of a kind that Hamilton's waterfront in Bermuda does not and will not face, and yet progress is made. This is a properly considered plan and we could learn a thing or two. There were four shootings in Bermuda last week. Four. This is a miniscule number for South Central LA. It is a huge number for Bermuda. It made me think about our wellbeing as a community. More than an index of national happiness, which seems all the rage at present; a wellbeing index touches on all facets of our life, crosses all sections of governance and appears to build on the tenets of the healthy communities movement, which I've touched on before. Santa Monica, CA, is working on this already. According to Jessica Leber's article, How a Well-Being Index for Cities is Taking Shape in California, for Fast Company, city officials of this affluent LA 'burb were dismayed by the public gang shooting of a local resident and the public suicide of a 9th-grader, and now are working with experts around the world to develop the metric for a Wellbeing Index. It is not a small task but with funding from Bloomberg Philanthropies Mayors Challenge, The Wellbeing Project is well underway. The work involves using economics, social science, public policy, public health, technology, environment, and behavioral science to tell city officials how people are doing. to identify areas to strengthen or adjust policies and programs to sustain existing levels of wellbeing and build additional wellbeing. This is more enriching and comprehensive in scope than a Happiness Index or a State of the Environment Report; it has the benefit of involving and combining all aspects of our lives. Santa Monica hopes its efforts will result in a Wellbeing Index that can be adapted for use by others. Let's hope this happens and that it works. Bermuda needs a helping hand. This article in The New York Times at the beginning of July, As Furniture Burns Quicker, Firefighters Reconsider Tactics, is rivetting reading. In it, firefighters discuss the changes in furniture manufacture - different materials, mainly - which impact the way they fight fires today. For example, standard procedure in a fire is to open up a window or roof to get air flowing into the building, the theory being that hot gases can escape through the holes. However, smokey fires that look like they are going out may just be waiting for that burst of fresh air before burning, in earnest, faster than ever. That they are faster now is due factors such as the fill material use for sofas and chairs, which, these days, is plastic and not old-fashioned cotton. 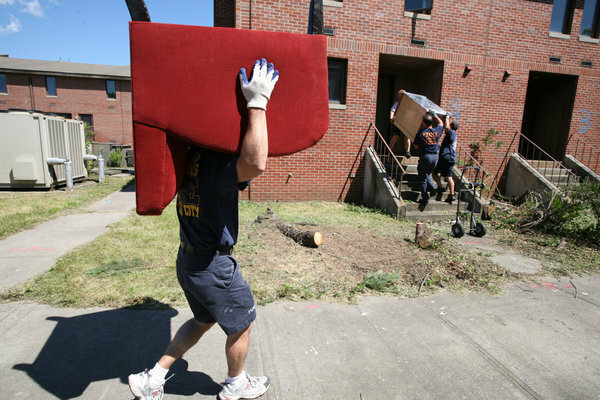 In response to the changes, the New York Fire Department is conducting fire experiments to assess the effectiveness of traditional firefighting methods in a row of abandonned buildings stuffed with modern furniture. You've got to admire the New York Fire Department's recognition of the need to investigate and the prompt attention paid to the matter. In Bermuda, by contrast, I'm still waiting for the Bermuda Fire Service - which fulfils a firefighting and first response function - to recognise and investigate the manner in which the vehicles they purchase are larger than a disturbing number of the roads they need to negotiate for access. It may be that said investigation is already completed and a solution is at hand but, for some reason, the results are not widely known. I don't know. But every time I drive down a narrow Tribe Road or other right of way, with or without sharp bends, I hope I don't need our first responders before I've finished my visit.